Bloggers Don’t Die, They Just Burn Out. by Andrew.In Blog, History.2 Comments on Bloggers Don’t Die, They Just Burn Out. So, with the shattered Towers transformed into watered gravestones for those eternally interred by them, we can at last put our grief and rage from memory into history. We have remembered, and we have moved on, through the light and shadow of a world born in fire. We make the best of that world to the extent that we feel that those who suffered at last have peace. 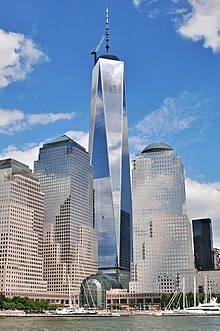 Time will bury all wounds, but as the centuries pass, men and women will walk through Lower Manhattan and see the names of those martyred for being American. This is what stands in the place of smoke and death today. Because, America. Rather, I’m more interested in the subject of the blogosphere, partially because Instapundit took the opportunity of the anniversary to ponder his status as survivor, but mostly because I seemed to notice the blogosphere at about that time. I started blogging myself in 2003, and I’m still doing it. But I’ve burned out a couple of times. It happens. It starts to feel like a job, or worse, an unpaid internship that never ends. You start getting bored with the struggle to say something that several million people are not already saying. So you just stop. But I keep coming back. Whenever I shuttered a blog, I would suddenly find myself with things to say. So I’d start a new blog. At one point I had two, plus a randomly updated LiveJournal. That was too much, which prompted me to set up shop at WordPress in 2011. I don’t nuke blogs when I tire of them anymore. The new rule is: When I don’t feel like blogging, I don’t blog. Andrew Sullivan used to take August off, I usually end up doing the same. When I feel like blogging again, I come back. Here’s another blogger that burned out and came back. She’s funny, too. Agreed – blogging can feel like a bad marriage at times. Not that I’ve ever been married, although my parents (contrary to popular opinion) were.